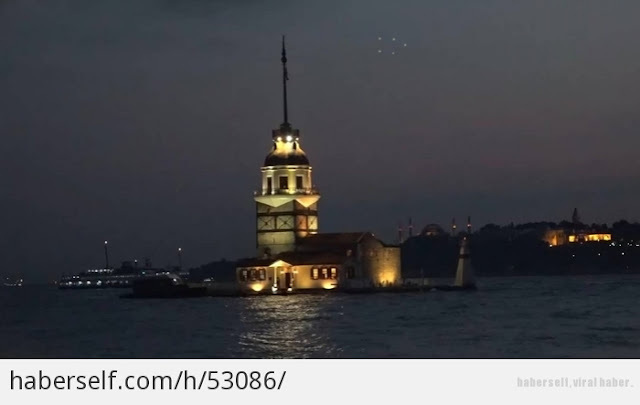 UFOs Over Turkey, Or Project Blue Beam Technology? I don't know why, I just find the timing of this and the location very interesting and not just because the biblical city of Pergamum was a city inside what is now modern day Turkey, although that does tend to get my attention. Maybe it is because there are many devout Muslims that believe the Mahdi is about to appear. Or maybe because it has been reported that Turkey's Dictator/Prime Minister is being referred to as Divine and is seen as a leader to all Muslims. Not surprising because he has declared himself to be God. Erdogan is quite the character and has proven himself to be more than a little cozy with ISIS. But beyond this, anyone else remember when he appeared as a GIANT 3-D Hologram in the sky for a meeting he was unable to personally attend? Calling Turkey today an "ally" of America might be a bit kind, especially since the coup he perpetrated on his own people. "The coming of the lawless one is by the activity of Satan with all power and false signs and wonders, and with all wicked deception for those who are perishing, because they refused to love the truth and so be saved. Therefore God sends them a strong delusion, so that they may believe what is false, in order that all may be condemned who did not believe the truth but had pleasure in unrighteousness." Perhaps a more obvious answer to this sighting is that it is military. Not necessarily Turkish military.